Bob (Winston George) Cox - a resident of Kaladar, passed away from a short fight with cancer with family by his side on the morning of January 11, 2019 at Lennox & Addington (Napanee) Hospital, Palliative Care Unit at the age of 77. Son of Emerson and Georgina Cox, brother of the late Allan Bruce (December 6, 2018), sister Elizabeth Norell and Tammy Mitchell. Sadly missed by loving wife Carol (McCauley-Gulka), David (Kathryn), Tina (Marv), Rob (Jo), BJ (Tim) and Shawndra. Devoted grandfather to Spencer (Katie), Ashley, Shawn, Mathew, Gus, Lucy, Ruby, Brandon (Ashley), Katrina, Max. He was born in Orillia, December 17, 1941. He became a member of the Salvation Army band where he met "Babe" Norton and Leonard Norton, Salvation Army officers whom he gives credit to keeping him off the street and not getting into trouble. After grade 8, he decided that school wasn't for him so he started working at a local garage and decided to apprentice and get his mechanics license. He moved to Toronto and was working at Wood-Larkin Ford dealership where he met his long time friend of 50 + years, David Brennan. 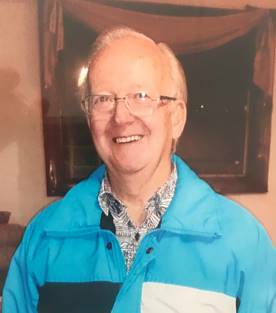 Before retiring, he worked at Ontario Motor Sales dealership as a Service Advisor where he is remembered fondly by staff and clients. After gutting and renovating a house in Kaladar, Bob and Carol moved in. 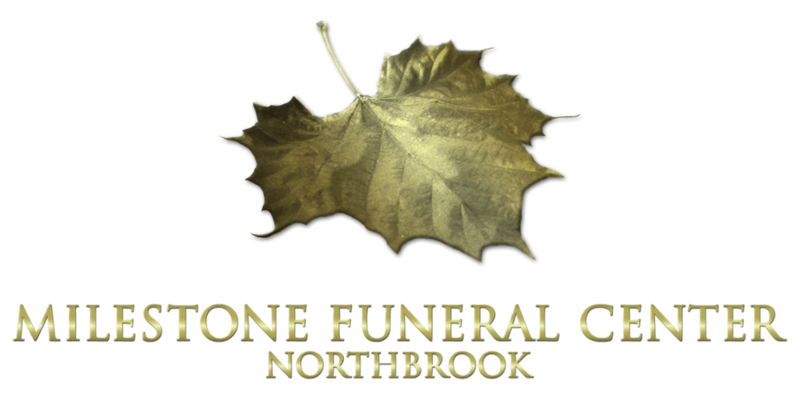 He was never one to sit around, he volunteered driving clients for Community Services in Northbrook. He rarely said "no" to any request of someone needing a drive, he was a favourite of many clients and staff alike. Bob also enjoyed helping many people by doing some renovating, building a deck or helping out in any way he could. 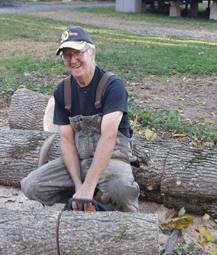 He enjoyed camping at Crowe Valley Campground in Marmora, using a chainsaw & chopping wood (some called him a beaver), hunting with his buddy Dave Caruana, and his grandson Spencer and even cuddling his loving shih-tzu Buddy as well as enjoying his friends and family. Memorial donations can be made to the Lennox & Addington County General Hospital Foundation for Palliative Care Unit or the Canadian Cancer Society. From Toronto area: take 401 East to Belleville, Exit #544 to Hwy 37 North to Tweed. Continue through Tweed to Hwy #7 - Travel East to Kaladar. On the left at junction of Hwy 41 and Hwy 7 there is a Shell Gas station. Continue East to Kaladar Community Centre on your left, civic # 113047.